Posted by jiscmonitor on March 22, 2016 in APCs, Context, Funder Compliance, Open Access, Requirements. Posted by jiscmonitor on April 21, 2015 in APCs, Context, Funder Compliance, OA Good Practice, Open Access, Requirements, Uncategorized. Posted by jiscmonitor on February 5, 2015 in Uncategorized. Posted by ostephens on January 30, 2015 in Uncategorized. 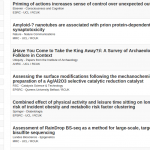 Posted by jiscmonitor on November 11, 2014 in Context, Open Access, Requirements, Uncategorized. Posted by ostephens on October 24, 2014 in APCs, Context, OA Good Practice, Open Access, Requirements. Posted by jiscmonitor on October 16, 2014 in Context, Open Access, Requirements. Posted by jiscmonitor on September 5, 2014 in Context, Funder Compliance, Open Access, Requirements. Posted by jiscmonitor on September 4, 2014 in Context, Open Access, Requirements. Posted by jiscmonitor on August 20, 2014 in Uncategorized.